There have been a few threads like this that inspired this one. Alot of them are for better players and I certainly do not fall into that category, But I have dedicated myself to getting much better at golf this year. I'm tired of being a 20+ handicap and I feel like I have the physical ability and the time to improve. My current goal is to go from the 25 hcp I am now to a 15 hcp by the end of this season (October or so where I live). If no one wants to follow along then thats cool, this thread is also for my own motivation and to look back on my swing changes and improvements as the season progresses. How about some current stats then to show my weaknesses? I keep all my stats in 18 birdies so grabbing these averages is no problem. Driving accuracy from the last 5 rounds: 11.9% Left, 51.3% Hit, 36.8% Right. - The FH number is a bit misleading as I'll typically skull or popup a few drives so even though I hit the fairway...it wasn't exactly a great shot. - My putter has been really good lately, I had one poor round that was 2.5 putts per hole in the last 5 that skewed the average, but I routinely stay between 2.1 and 2.3 per hole. I joined a club, its a hard course too. Its a 72.8 / 136 rating/slope and its no joke. The greens are fast, there are bunkers everywhere, water all over the place. It's affordable though and I joined to challenge myself. I have been told numerous times that if you can play there, you can play anywhere. The club is halfway between my home and work and only an 8 minute drive from work so on days where I don't have meetings and the sun is out I go hit balls for 40 minutes or so or chip and putt during my lunch break. I'm also playing in the weekly scramble and getting at least one round in every weekend. My first lesson ever was Tuesday night after work. The instructor was incredibly helpful. He hooked me up on the trackman and we talked for a while about my issues. I noted my inconsistency in contact and direction with my irons and he had me hit some shots. The club I'm using is a 9 iron, so he kept saying speed and power aren't the issue at all and he wanted to work me all the way to hitting a consistent draw. We spent the rest of the time shortening the backswing and really trying to feel me forcing the clubhead under the plane i took on my backswing during the downswing. After grooving it for a few days, its like magic for my poor contact. I don't chunk the ball anymore, period. I have had some thin shots with my wedges but the fat shots are the more painful ones for me currently and those are all but gone. I am still directionally challenged though. If I forget to shorten my backswing then I hang the face open and blast the ball right into oblivion. I have a round scheduled Sunday, I'll post back here with how it went and my stats and such. I keep having people tell me I'm just a few lessons away from being really good. I'm certainly planning to test that theory in the coming months. Sounds like you're on the right track. Keep working with your instructor and practice what he teaches you. Keeping the ball in play and a decent short game/putting will drop your handicap quickly. Good luck and keep working at it. Love to see these threads! Keep posting your progress, and we'll keep cheering you on. Just one comment about your putting stats. You should break those out by GIR and non GIR. This will help assess your short game and putting. GIR putting near 2 is a target and Non GIR putting near 1 is the target. Looks good! It sounds like your instructor is working out. The downswing doesn't look that much OTT to me, just a little steep but that's because my swing is much flatter. I agree, there is a lot of potential there. Agree with @cnosil. Based on your stats, I would spend as much time as you can on short game practice. While working on your swing, you will still be missing greens. Getting up and down a few more times a round will reduce your HCP quickly. I miss a lot of greens, mostly due to lack of distance; if I hit half, I feel pretty good. However, if I have more than 32 putts per round, I feel like I putted poorly. Chip it close, make the putt. It doesn't take very long to go from a 25 to an 15, and lessons will help you get there faster. I'll be following your progress. You remind me of me 25 years ago. Thanks for the callout. You can pretty much assume since I only hit 1 green a round that those stats are non GIR. I typically never get a chip inside of a sure 1 putt distance which is about 3 ft for me. I have so much to work on right now in my game its hard to prioritize whats most important. Missing a green by 30 yds and potentially losing a ball or chipping closer and having one less putt...not to mention my driving is not the most accurate in the world. I do agree if I'm not going to hit greens my chipping has to improve, but I should also clarify that I'm not on the fringe 10 ft off the green, these missed greens are in the 10-20 yd range. not ft. so I'm really pitching the ball onto them and then 2 putting. I'm trying to spend 4 days total practicing over lunch, 2 hitting irons and 2 chipping / putting. I could reprioritize that if I'm convinced that it would be more beneficial. I'm completely open to suggestions. I'll second @GolfSpy MPR in that I enjoy these threads. 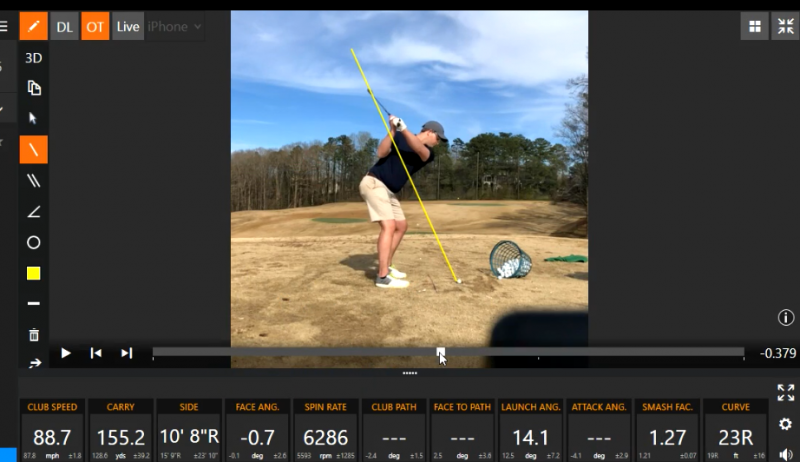 We could have completely dissimilar swings, but it is neat to hear instructor feedback and keep an eye out for tell tale signs of this or that in my game. Keep the posts coming! I would also second @Kenny B. The long irons may be the scoring clubs for Tiger, but a 25 hdcp will probably in more cases than not see the biggest improvement from short game practice. I would recommend reading the Pelz Short Game Bible (it's long, so maybe skim it). He does as good a job as any explaining why the short game is so important. 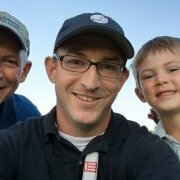 If you have a real life instructor, I'd stick with his guidance on your short game technique over Pelz's methods if they are different. Even if you are still 20 yards out, this falls well under the short game definition. The distance is going to vary from player to player, but 50yds and in is a decent guideline. If you can get these even into a 10 ft radius and you make 20% of those with a few close enough to one putt, that could be six-seven strokes gone right there. 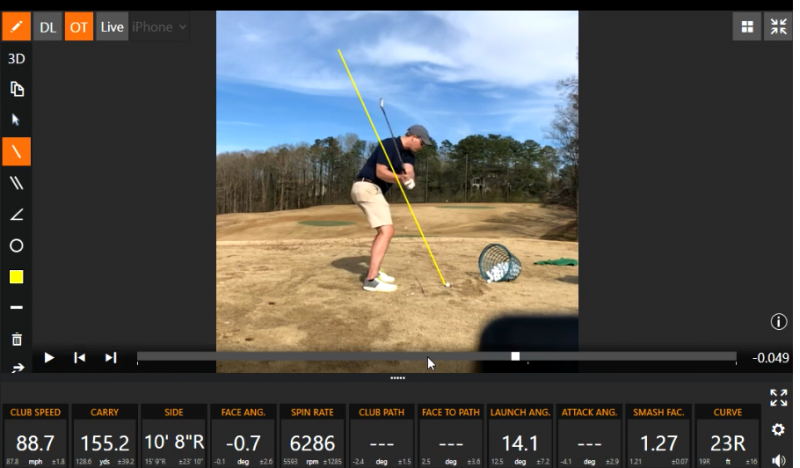 If you combine this with some swing improvements to eliminate the chunks, you will be slashing your hdcp faster than a prairie fire with a tail wind (had to reference my list of olegrayisms for that one). As your ball striking improves, your proximity to the green will also improve. If you have frequent 10-20 yard shots, certainly work on those, but still spend some time on chips and putting. I find it difficult to spend a lot of time working on one thing. I like to break it up. When I practice, I will spend maybe 15 minutes each on pitching, chipping, and putting; I don't spend a lot of time on the range unless I have an issue. Go to practice with a purpose. Don't go just to hit balls. What are you going to work on? There are many drills that help to make practice more fun. For example, do the clock drill for putting from 3 feet; try to make them all. If you do, move to 4 feet and repeat. Chipping example; pick a spot just on the green to land your ball. I like to use two clubs spaced a foot or two apart (you can vary it); try to land your ball between the clubs. Chip with different clubs to see how much rollout with each one. Determine and record distance for each club. Doing this will help get your ball closer to the hole on the course. Pitching is just a short full swing; I work on controlling trajectory. Talk to your instructor about how you should work on those 10-20 yarders. The better you get around the green, the more confidence you will have standing over a full shot knowing that even if you miss the green, you can still end up with a good result. That frees up your swing; one part of the game helping the other parts. As I high handicapper I know it can be hard to figure out what to work on first; some people attack short game some the long. Since you are taking lessons, as your instructor for his recommendations. Great stuff. These are indeed fun threads. You will no doubt start seeing some significant improvements in scoring from this investment. Do you happen to know the name of the swing analysis system you're using? Lastly, that is quite possibly the largest bucket of balls I have ever seen . He uses trackman. And yes he keeps a uuge bucket down there for the whole day so he doesn't have to go get more. He pretty much is booked up all day every day for lessons. You can't even see the laundry hamper full of yellow ones that is off screen. Yeah, our teaching pro brings a garbage can full of balls to the practice area in a golf cart. He mostly teaches juniors, but on certain days he has several seniors. One evening a couple of year's ago, he was teaching a group of couples on the putting green. The lesson announcement said something like "take lessons together and learn how to help each other without arguing." My wife and I saw them as we came off #9, and as we walked to the cart which was next to the putting green, my wife said in a loud voice "I want a divorce!!" He cracked up because he knows us very well. Just came off the course. Shot a 108. My big takeaway is how bad my chipping is. I really tried to pay attention to my proxinity on my misses with my irons and I'll say 75% of the time I was inside 30 yards. I'll also say that I don't think any of my 17 chips got me closer than 15 ft except for 1 which I one putted. I had 17 chips and a whopping 44 putts today which is especially painful because I made alot of really good 2 putts today. Iron play was okay. I had some tops but most of those ended up fine. I also had 4 penalties. All but one was due to an errant iron shot. Driver was on . 78% of fairways. Only 2 we're skyballs and I had a penalty on a hole I never should have hit driver on to begin with. Needless to say I'm gonna spend a lot of time working on short game this week. Chipping from inside 20 yards or so and I'm going to spend a lot of time on lag putts. Inside 5 ft I dont ever miss by much. It's getting it there that's the problem. I hit 2 greens today. One of which was a 185 yd par 3 that landed in the middle and leaked left. I 2 putted from about 40 ft uphill. Felt good. Needless to say I'm gonna spend a lot of time working on short game this week. Indeed. While hitting your irons and woods well goes a long way to lowering scores, you've got to get the putting under control, along with getting it closer to the hole from chipping. Putting and chipping practice will drop those scores much faster than hitting your driver well. Keep up the good work! "The more I practice, the luckier I get." quote from just about every pro. Get busy! Practicing the short game gives you feel, and that leads to better shots on the course. Based on these stats and reviewing some older stats. I think I'll challenge myself and only practice chipping and putting until my next round. Which should be next weekend. That gives me 3-4 days of practice. I know that all this iron practicing netted me 1 stroke in a week. So let's see how many strokes short game only practice nets me. Also thanks everyone for helping me realize I don't need to hit every iron shot clean to be a better golfer. Sometimes I can be a bit hard headed about what I think is right. Now obviously thats near perfection in terms of amateur short game but I'd take half of that and its a worthy stat to keep track of I think. In looking at your stats, why are you missing putts? Long, short, left, right? Do you track makes from specific distances? Do you misread putts? What is your approach for distance control? What do you typically practice when you are practicing; if you practice. What happens with your short game? Fat, thin, don’t know how far the ball will go? Do you use alignment sticks in your practice sessions? I know you are taking lessons so you instructor is the best person To help and discuss the types of things I am asking. As I learned this weekend, my ball position was way off from what I thought it was and what I consider a significant change to ball position really helped me. 1. 1 chip, 1 putt: 1 chip to inside 5 ft, made the putt. 2. 3 chips, 2 putts: Thinned 2 chips across the green, got the 3rd one on, and 2 putted. 3. 0 chips, 4 putts: Drove it ob, dropped, 3rd shot in was on the green from 165 or so but on the wrong side. 70 ft left to the pin with a big downhill shelf to the pin. Putt 1: Just try to get it to the shelf and let it roll down, Putt 2: left it short of the shelf. Tap it and let the shelf carry it past the hole. Putt 3: 7ft missed a foot to the left, Putt 4: Tap in. 4. 2 chips, 2 putts: Par 3, Tee shot left of the green under the bunker. First chip: Thinned into the rake. 2nd chip: Didnt give it enough, just landed on the fringe and stopped. Putt 1: lag to 3 ft, Putt 2. Made the putt. 5. 0 chips, 3 putts: 75 yard wedge shot close to the center of the green and rolled out to the other side. 35 ft to the pin. Left the first putt 8 ft short, 2nd putt to the edge, 3rd putt tap in. 6. 1 chip, 2 putts: Chipping from 20 ft or so off the green. Left it 20 ft short, 2 putted in. 8. 1 chip, 3 putts: Par 3, tee shot to the right of the green and above the hole on a mound. Chip past the pin, Lag putt missed to the left by 8ish feet, missed that putt as well and tapped in. 9. 1 chip, 2 putts: Good chip to 10 ft, 2 putted in. 10. 2 chips, 3 putts: Chipped up on to the green, ran it all the way across just off the fringe, Chipped back on from there to like 20 ft, and then somehow 3 putted, I dont recall the putting misses here. 11. 1 chip, 3 putts: chip from just off the fringe, left the first putt really really short, like 15 ft and then 2 putted that. 14. 1 chip, 2 putt: Long chip from like 20 yards to the center of the green, 2 putted from there. 15. 0 chips, 2 putts: 2 putted from 30 or so feet after a good approach from 115 or so to the center of the green. 16. 2 chips, 2 putts: Ended up on a hill way above the hole. I bladed it and almost ran it into the water on the other side. back up and just on the green from down there and a really long 2 putt to get in. After typing all of this and reviewing the round in my head its pretty apparent to me that chipping proximity and lag putt proximity are the two biggest things holding me back. I don't typically thin chip shots so that stat is weird but a clear sign that I need to be really focusing on my chipping game if I am going to miss greens. Consistency on short putts seems paramount as well. I'm going to use this guys short game practice schedule as my guide and update it on a weekly basis to see how I'm improving. I do not use alignment sticks btw. Are you missing your intended line, or misreading putts?